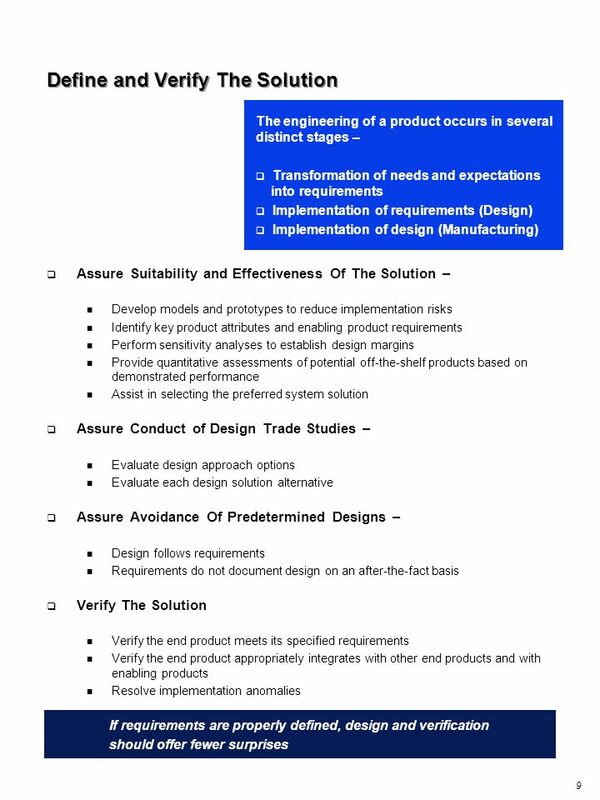 2 This document has been approved by the INCOSE Technical Board. 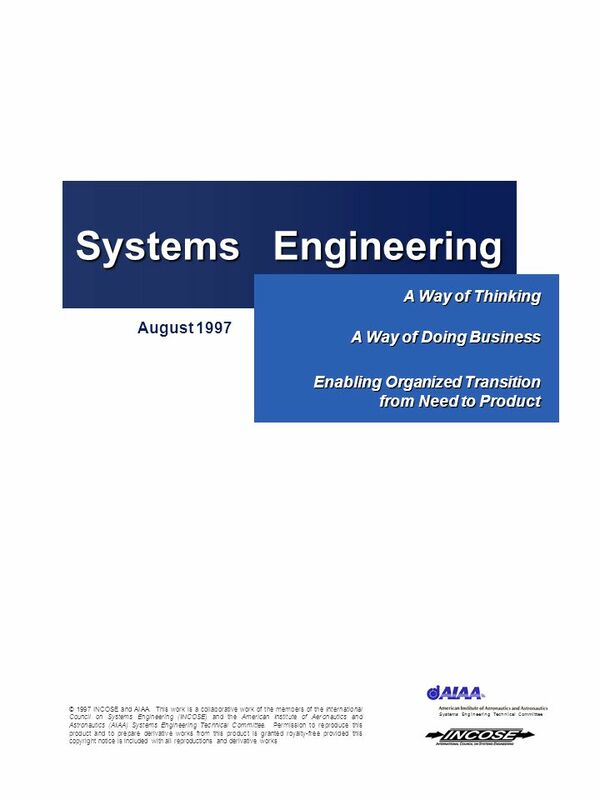 Systems Engineering A Way of Thinking A Way of Doing Business Enabling Organized Transition from Need to Product August 1997 In today’s increasingly competitive marketplace, many organizations are turning to systems engineering practices to improve their responsiveness to the needs and expectations of various stakeholders (customer, user, buyer, media, public). 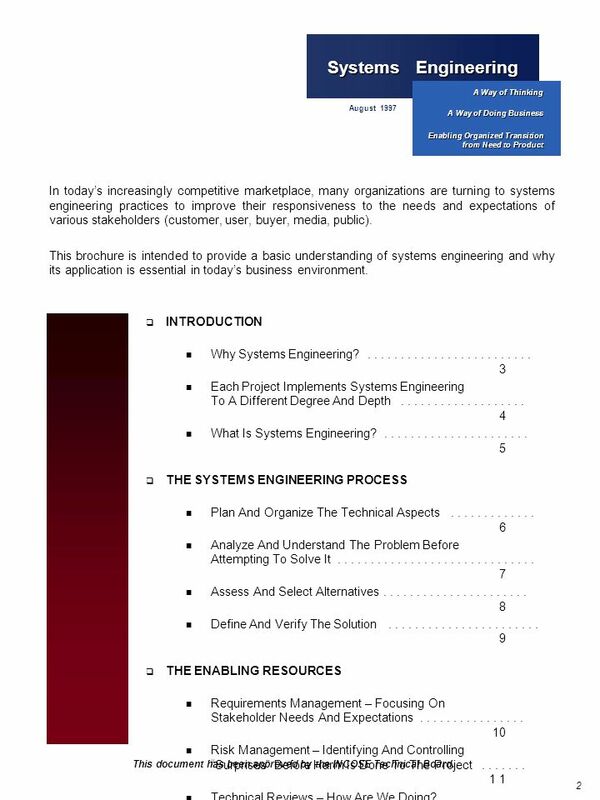 This brochure is intended to provide a basic understanding of systems engineering and why its application is essential in today’s business environment. 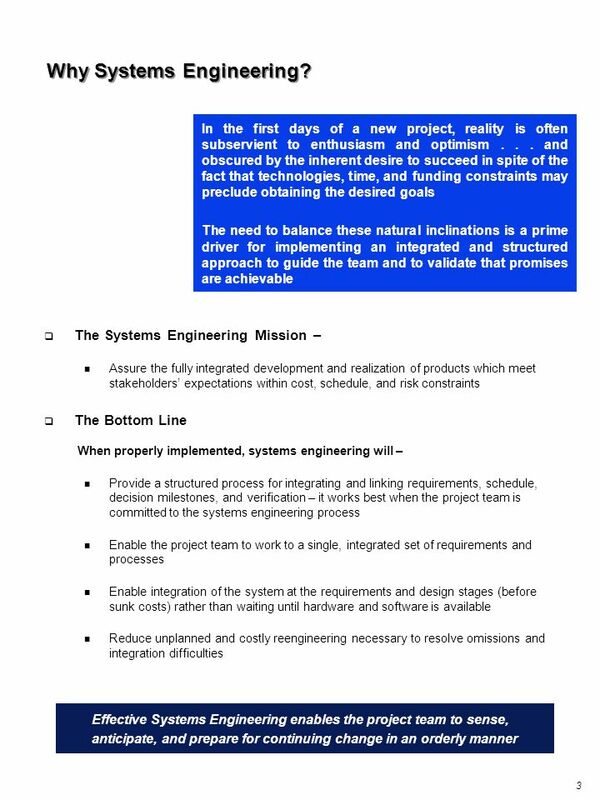 INTRODUCTION Why Systems Engineering? Each Project Implements Systems Engineering To A Different Degree And Depth What Is Systems Engineering? 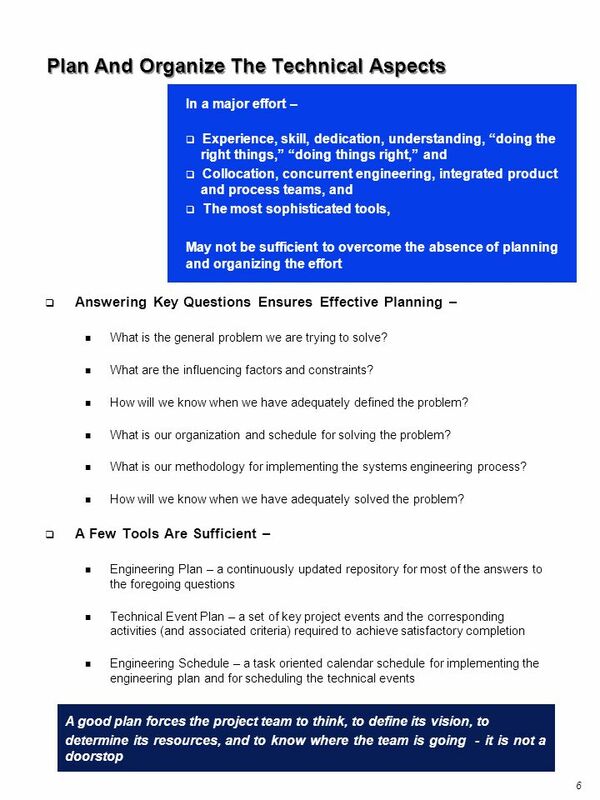 THE SYSTEMS ENGINEERING PROCESS Plan And Organize The Technical Aspects Analyze And Understand The Problem Before Attempting To Solve It Assess And Select Alternatives Define And Verify The Solution THE ENABLING RESOURCES Requirements Management – Focusing On Stakeholder Needs And Expectations Risk Management – Identifying And Controlling “Surprises” Before Harm Is Done To The Project Technical Reviews – How Are We Doing? 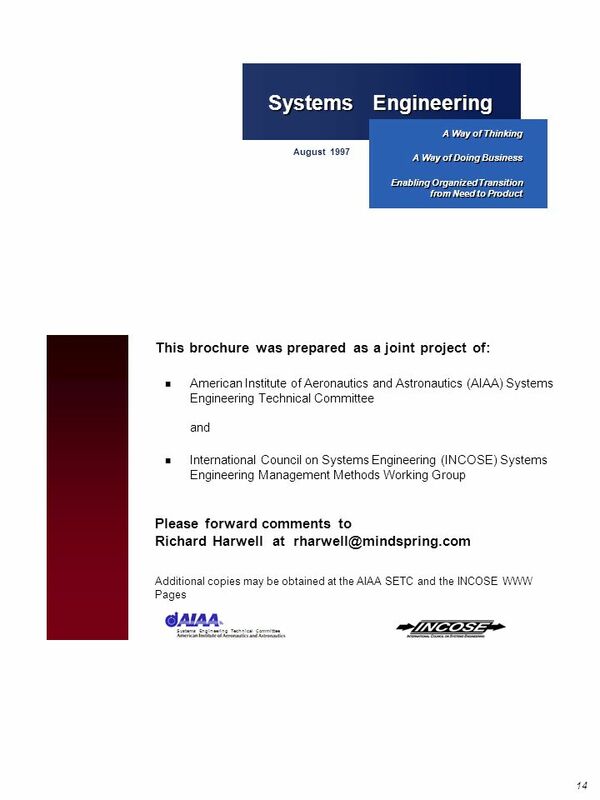 CONCLUSIONS Systems Engineering Is A Process And More This document has been approved by the INCOSE Technical Board. 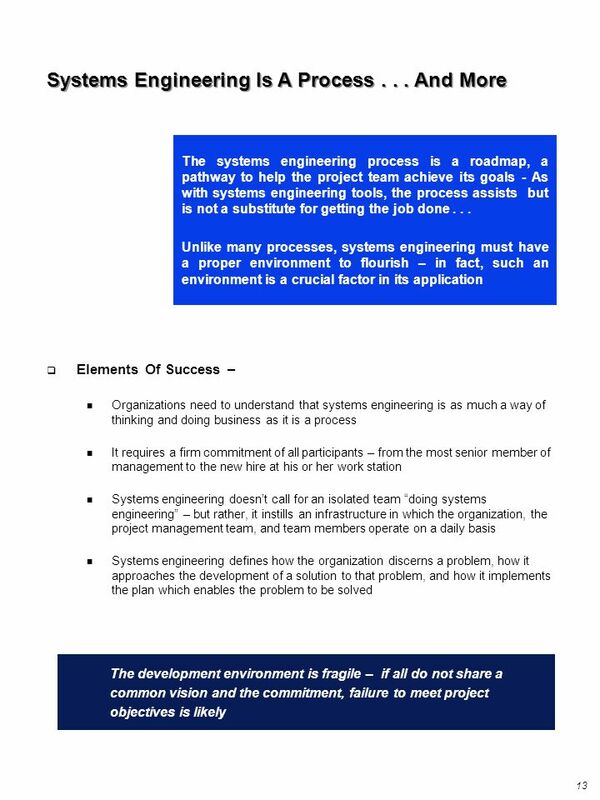 5 What Is Systems Engineering? 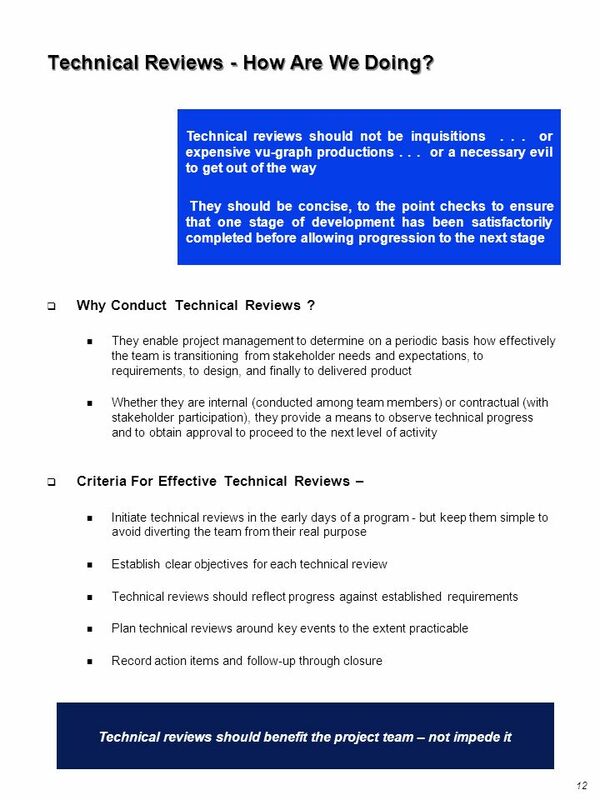 12 Technical Reviews - How Are We Doing? 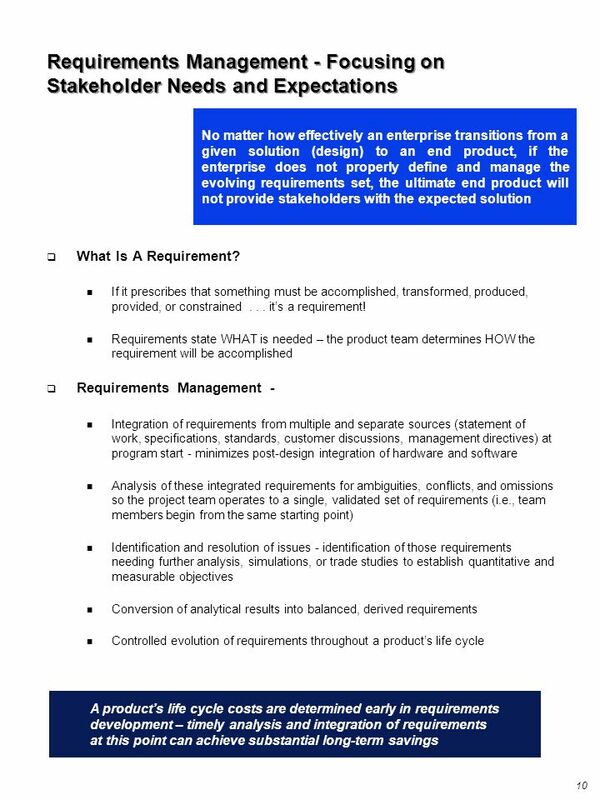 Download ppt "Systems Engineering A Way of Thinking A Way of Doing Business"
SOFTWARE QUALITY ASSURANCE Maltepe University Faculty of Engineering SE 410. 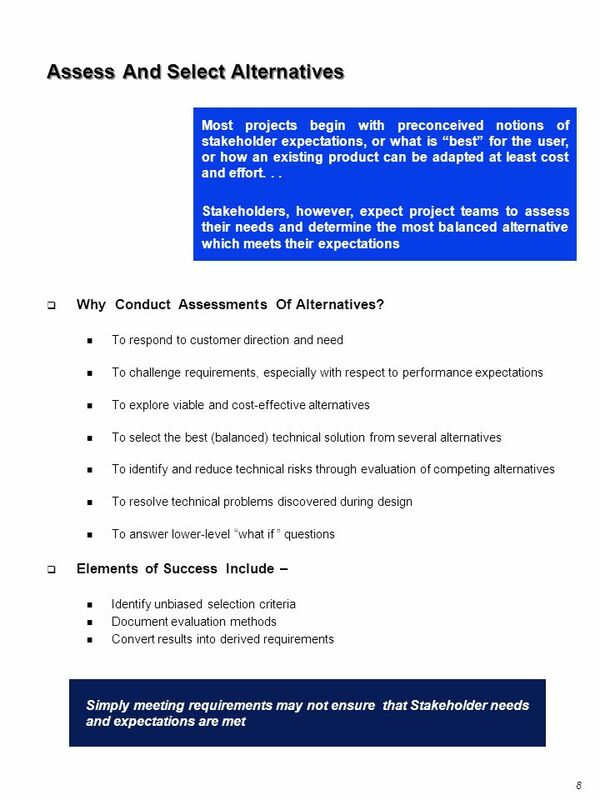 The Executive’s Guide to Strategic C H A N G E Leadership. 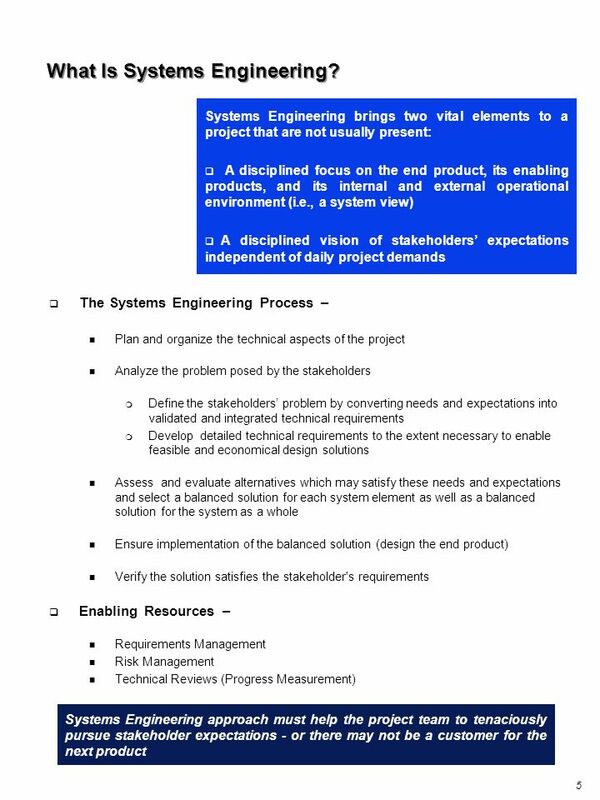 1 Introduction to System Engineering G. Nacouzi ME 155B. Object-Oriented Software Engineering Practical Software Development using UML and Java Chapter 1: Software and Software Engineering. Software Architecture Quality. 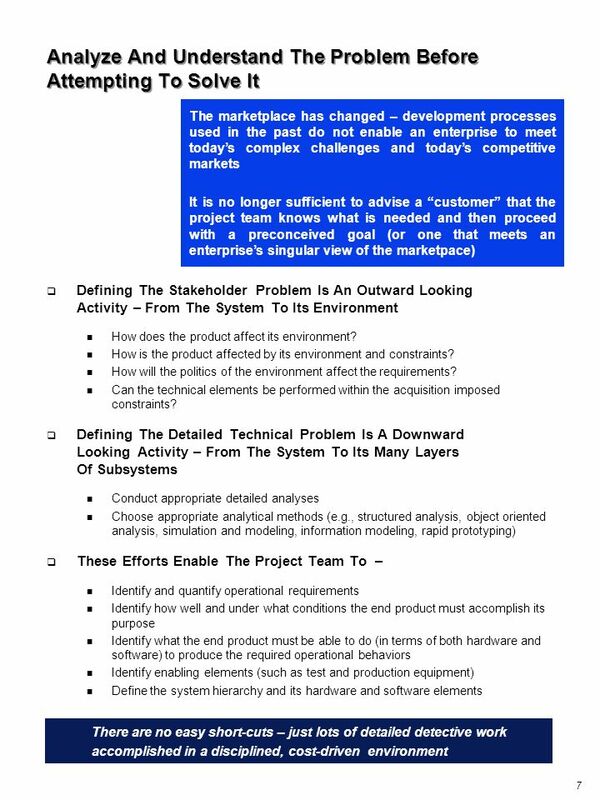 Outline Importance of assessing software architecture Better predict the quality of the system to be built How to improve. 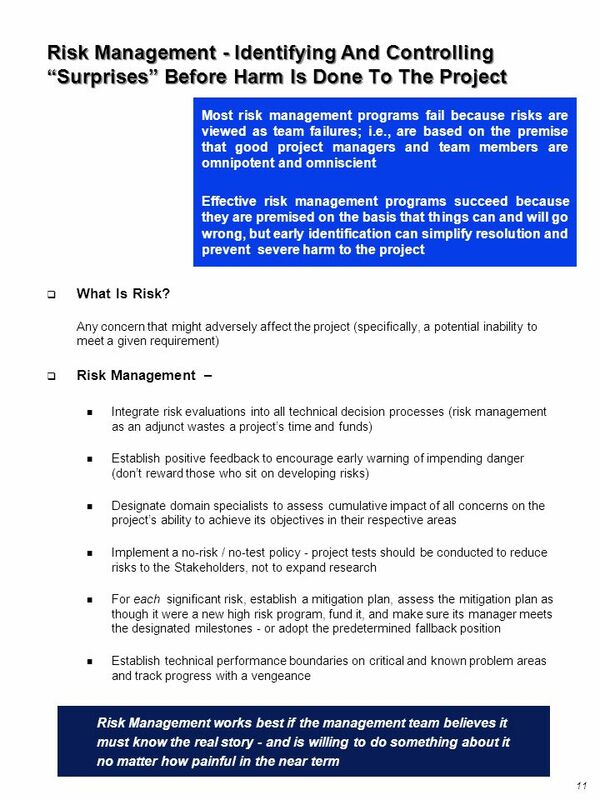 DITSCAP Phase 2 - Verification Pramod Jampala Christopher Swenson.